Istanbul, Turkey is the host city of the Livable Cities Symposium, which will be held on Wednesday, November 20. The main goal of the Symposium is for experts and stakeholders in sustainable urban development to identify and define the key components of a livable city. Photo by Marco. How livable is the city you live in? What should a livable city look like? How do we improve quality of life for urban residents? On Wednesday, November 20, the Livable Cities Symposium in Istanbul, Turkey will explore these questions and more. Hosted by EMBARQ Turkey, the Symposium will discuss best practices in urban development and accessibility, road safety, public spaces, public health, integrated transport, and non-motorized transportation. The main goal of the Symposium is for experts and stakeholders in sustainable development to identify and define the key components of a livable city – the drivers of high quality of life among urban residents, who comprise more than half of the world’s population. Seventeen experts from five continents will speak at the Symposium, including leaders from across the EMBARQ Network, The World Bank, Gehl Architects, the Istanbul Electricity, Tramway and Tunnel General Management (IETT), Istanbul Technical University (ITU), Yard 9, Mobicar, and local administrations. The concept of “livability” emerged in urban planning literature within the last 50 years, as evidenced by increasingly frequent references made to livability in studies of that period. Both local administrations and academics alike have discussed livability within the framework of urbanization. The World Bank even outlined clear steps to make cities more livable in the 1996 report, “Livable Cities for the 21st Century.” The report noted that strong partnerships for civic action with local communities, commercial, financial, and industrial interests, and governments are a crucial ingredient to enhancing livability – a notion that holds true today. Dr. Pınar Savaş Yavuzçehre from Pamukkale University’s Political Science and Public Administration Department offers a useful, broad definition of livability – the individual or community welfare, happiness, or satisfaction coming from living in a certain location based on its spatial features and qualities. Livability can be manifested in a city in social, economic, environmental, or physical terms. The main characteristics of livable cities include a high quality of life, generous social interaction, adequate pedestrian accessibility, safe and healthy living spaces, and self-sufficiency. Although every city is unique, in recent years it’s become popular for media sources to rank the “Most Livable Cities” in the world based on criteria that evaluate quality of life, such as crime rates, access to and quality of healthcare, culture and environment, and availability and quality of education. What does livability mean in Turkey? In Turkey, the host country of the Livable Cities Symposium, livability is primarily discussed in terms of quality of life. The Ministry of Development’s Plan for 2014-2018 includes a “Livable Spaces, Sustainable Environment” section, which outlines the country’s main priorities related to livability. These include managing rapid growth, addressing housing issues, traffic congestion, road safety, and environmental problems. There have also been many projects developed and implemented by local administrations in recent years aimed at improving quality of life. 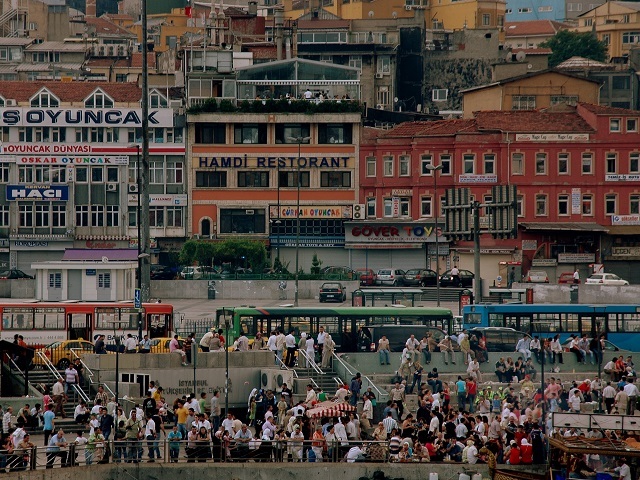 Istanbul is paramount among Turkey’s cities for studies on livability. Significant investments in public transport, public spaces, and pedestrianization projects in Istanbul’s Historic Peninsula are all recent developments anticipated to benefit the city’s urban residents. This week’s Livable Cities Symposium will focus on urban transportation and road safety, and the relationship between the urban environment and public health. It will explore recent urban planning approaches to livability including sustainable cities, smart cities, and transit oriented development (TOD). Through this broad focus the Symposium aims to cover many aspects of the livability concept while bringing together citizens, local administrations, private sector actors, and academics from various disciplines. Participants are encouraged to further the Symposium’s discussion on social media by using hashtag #yasanabilirsehir (#livablecity). The intended outcome of the Livable Cities Symposium is to create a clear consensus on what a livable city is – in Turkey and beyond – so participants can take that vision back to their home cities. Speakers at the Symposium will contribute to this goal by highlighting best practices in sustainable urban development, a key way to inform participants about recent studies and projects, and unite a diverse group of advocates for urban livability. Learn more or register on the Livable Cities Symposium’s website. Tell us: what would make your city more livable? Leave a comment below!